In California, Impossible Foods took the #1 spot in the 2018 “40 Hottest Technologies in the Advanced Bioeconomy” rankings, published today in The Digest, the world’s most widely-read bioeconomy daily. The announcement was made live at the Advanced Bioeconomy Leadership Conference (ABLC Global), which is meeting in San Francisco this week. The annual rankings, which recognize innovation and achievement in technology development, are based on votes from an invited panel of distinguished international selectors and from subscribers of The Digest. Nominations were made by Digest subscribers, and the ballot took place over the past 2 months. 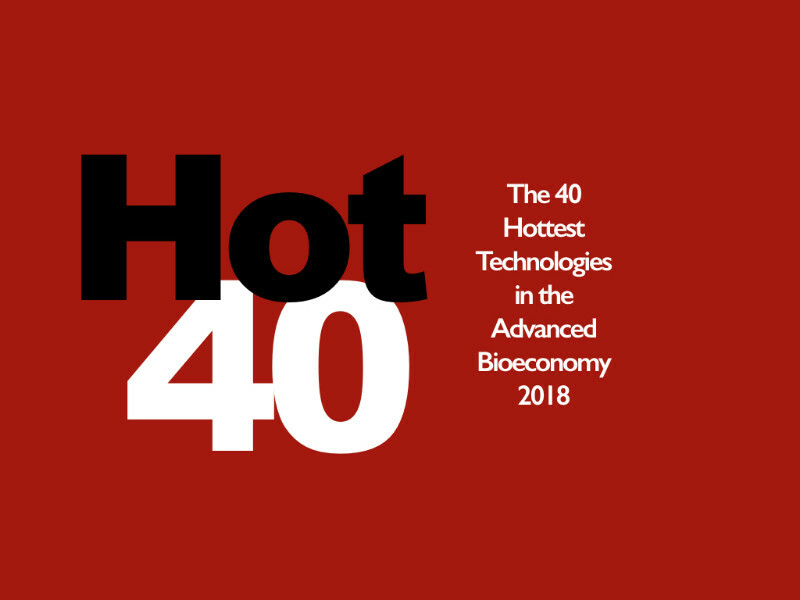 This year, the Hot 40 pivoted from focusing on companies to specific technologies, to allow for a broader set of entries including national labs and academia, representing the entire bioeconomy R&D landscape. This year, the Joint BioEnergy Institute (JBEI) became the first Bioenergy Research Center to land in the Hot 40, for its ionic liquids technology. The 40 Hottest Technologies winners and rankings are detailed below.